Sure, Shelley Duvall was something of an '80s star, but how did the iconic Wendy Torrance from The Shining fade into oblivion? The squeaky voiced girl, with the doe eyes, who was born to play Popeye's Olive Oyl. 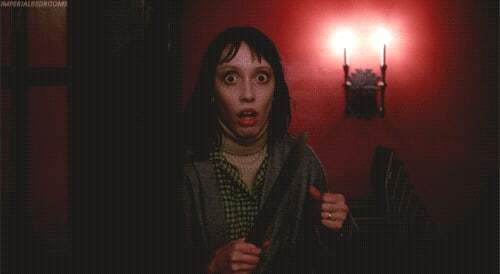 Sure, Shelley Duvall was something of an '80s star, but how did the iconic Wendy Torrance from The Shining fade into oblivion? This is how one film drove a woman to madness. One of the most misogynistic characters ever put on film. She's basically just there to scream and be stupid and that's not the woman that I wrote about. Check out the best horrors of the 20th century you must watch. King had always imagined a cheerleader blonde, who couldn't see the horror which was coming her way. The novel Wendy was tough and equal to her husband, making descent into fear all the more dramatic. It appears that King and lead-actor Jack Nicholson were on the same page, with Nicholson wanting American Horror Story's Jessica Lange in the role of Wendy - he even suggested it to Kubrick. 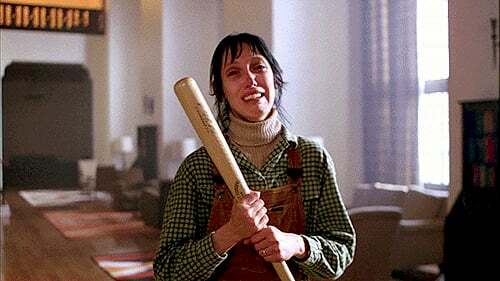 Kubrick was adamant though, he wanted Duvall as the leading lady in The Shining, and so her horror began! Despite championing her for the role, it was Stanley Kubrick who was also Duvall's biggest critic. In the documentary Stanley Kubrick: A Life in Pictures, Jack Nicholson states that Kubrick was great to work with, but was a "different director" with Duvall. Kubrick had chopped and changed the script so many times that Nicholson stopped reading the drafts and learnt his lines minutes before shooting. But, where the two shared something of a bromance, the same couldn't be said for Duvall and Kubrick. He frequently kept her isolated, cut many of Wendy's lines and forced her to perform the iconic 'baseball bat' scene an exhausting 127 times. The scene entered The Guinness Book of Records as the most takes ever for a scene with spoken dialogue and her shaking hands and red, puffy, eyes are the result of genuine crying. Afterwards she presented the director with clumps of her own hair, to show just how close to the edge she was. From May until October I was really in and out of ill health because the stress of the role was so great. Stanley pushed me and prodded me further than I’ve ever been pushed before. It’s the most difficult role I’ve ever had to play. He goes on to tell Duvall "It doesn’t help you" and would frequently tell her that she was wasting the time of everyone on set. He advised crew members to ignore her and refused to praise her work. Kubrick's unusual method of shooting the majority of the film chronologically meant that the principal photography took over a year to complete and filming took 500 days. Duvall would cry for up to 12 hours a day and eventually ran out of tears, meaning that she had to keep bottles of water by her side to keep hydrated. the toughest job [of] any actor that I’ve seen. Almost unbearable...But from other points of view, really very nice, I suppose...After the day was over and I'd cried for my 12 hours, I went home very contented. It had a very calming effect. We have all seen the likes of Christian Bale and Heath Ledger take on method acting, but the psychological torture which Duvall was subjected to by Kubrick is not an experience I think any Hollywood actor would expect to undergo. Whilst a harrowing tale, there seems to have been some method in his madness. Just as you can't image anyone else as Olive Oyl, it is almost impossible to imagine anyone apart from Duvall playing the tormented Wendy Torrance. Read next: Killer Casting: Should Connie Britton Return To 'American Horror Story'?